A4 Printed Labels for office or retail applications. 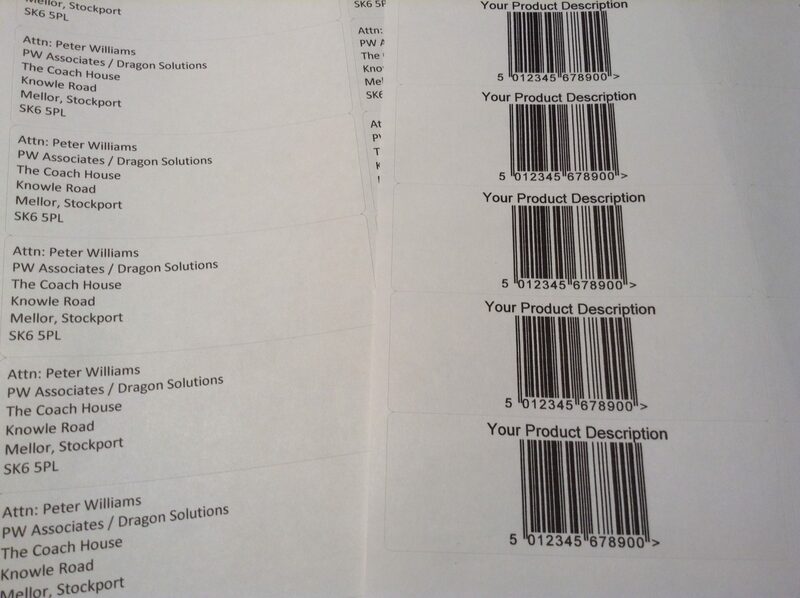 Ideal for return address labels or bar code labels where you have all the same data, text, bar code etc on each label. Simply fill in your chosen text (in the box ‘Order Notes’ at the check out) or tell us the number and type of bar code which you would like along with the line of description and we’ll do the rest!